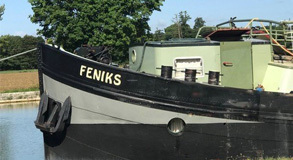 In Amsterdam you start form the home port of the Feniks. In Spring you visit the tulip and other flower bulb fields. You will cross the Dutch Estuary with its Deltaworks, take the barge to cross the Westerschelde and after a visit to Ghent you arrive in Bruges. You visit this famous city while enjoying the Belgian chocolate, beers and lace. The countryside is flat as far as the eye can see. Polders, water and old villages and cities. Daily average of 45 Km or 4 to max. 5 hrs. by bike. This is a one week tour only done in Spring. 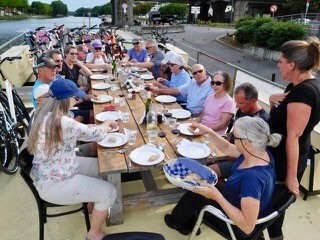 Many of our guests continue this tour from Bruges to Paris, thus making it a three week tour. Day 1 Saturday Amsterdam Arrival at the barge, bike ride from Amsterdam to Oude Weteringh. 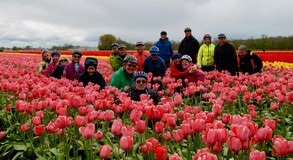 Day 2 Sunday, Oude Wetering - Gouda Today you will bike through the bulb fields and visit the Keukenhof, with literally millions of flowering bulbs. 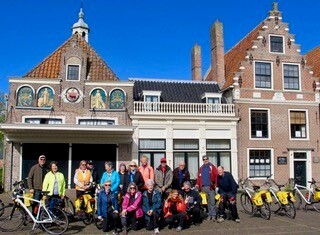 Day 5, Wednesday, Zierikzee - Middelburg. You bike across the Dutch islands that were flooded in 1953. The reason so many dikes, dams and locks were built after that disaster. 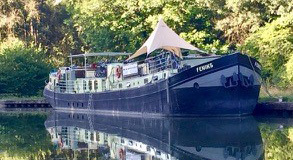 Day 6, Thursday, Middelburg - Gent Today we cross the waterway Westerschelde, which is the main estuary connecting the port of Antwerp with the sea and moor in Gent. A thriving and cosy medieval town. 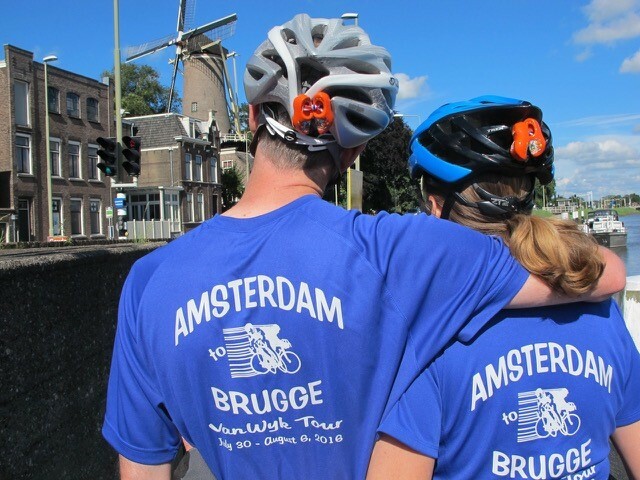 Day 7, Friday, Gent - Bruges Today you bike from one medieval city to another on quiet roads in the typical small scale fields patter of Flanders with farmhouses and little villages. Docking in "Venice of the North", Bruges. Day 8, Saturday, tour ends after breakfast or continue after an early visit of Bruges before starting the tour to Paris.